Moss grows on the surface, so you won’t need to scarilfy really deeply to rake out the moss. Before you do any scarification, however, you should treat the moss with a proprietary moss killer and wait until the moss appears dead. 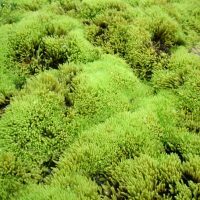 If you scarify your lawn without first killing the moss you are likely to spread dormant moss spores further afield, which will grow as soon as the conditions favor them. The scarification action will improve airflow around the canopy of the turf, and will improve surface drainage and general plant growth to a degree, as it is removing dead unwanted organic matter. Scarification will not aerate the soil to any great depth, this will have to be carried out separately if required. At The Mower Shop, we have the machinery you need for scarification and deal with that moss! We have a range of Allett Mowers including the Kensington 14E, Classic 14L and the Classic 17L, all of which have a Scarifier head available.